Established in late 2013, this place is an evolving journal of inspiration, which has been carefully hand selected by artist, Sandi Dusel. This space is a sister site to the AdaLou Blog, where Sandi had currently wrote for the past few years. 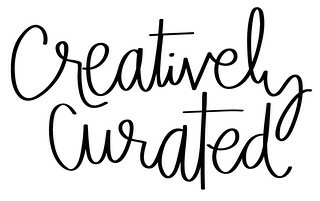 Though the her prior blog had come to an end, Creatively Curated was then born to continue sharing Sandi's passion for art & design, color, fashion, and day to day life events. It's a design based blog, so all layouts, templates and content, unless noted, have been created specifically with Creatively Curated in mind. If you care to share content from this blog (which I would hope you do so) please just be courtesy and link back to the original posts so proper credited can be given. 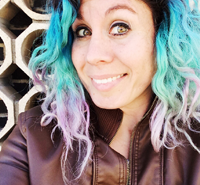 My name is Sandi Dusel and I'm the inspirational gatherer and voice behind Creatively Curated. A designer by career, illustrator by degree and full time mom to two amazing kiddos, Wyeth and Penelope, an one furry spotted tabby, Luna. When not designing I enjoy thrifting & collecting vintage treasures. Doodling up pretty pictures (my hashtags #sandidoodles) & practicing hand calligraphy. Decorating our newer pad. Sewing. Exploring outdoors & around town. Taking photos and documenting life. Hanging out with my family and friends. An trying my best to enjoy the little things in life. I also dabble in baking up sweet treats to help feed my sweet tooth. Wanna chat or know more about me, or have a question? Email me, I don't bite, promise.